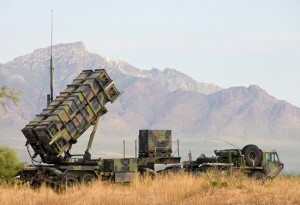 The U.S Army awarded a $212 million contract to Raytheon to continue improvements to the Patriot Air and Missile Defense System. The improvements, which will enhance Patriot’s capability and readiness, are funded by the US and the 12 other Patriot partner nations through a shared engineering services agreement. Under the contract, issued by the U.S. Army Aviation and Missile Command, Redstone Arsenal, Ala., Raytheon will provide software development, systems analysis, testing and logistics support, and other country-specific system requirements. Patriot is the world’s most modern and capable air and missile defense system, providing protection against a full range of advanced threats, including aircraft, tactical ballistic missiles, cruise missiles and unmanned aerial vehicles. Patriot upgrades continue, with the most recent being new software known as PDB-7.x (PDB standing for “Post Deployment Build”). This software will allow Configuration 3 units to discriminate targets of all types, to include anti-radiation missile carriers, helicopters, unmanned aerial vehicles, and cruise missiles. The PAC-3 missile is currently being tested for a significant new upgrade, currently referred to as Missile Segment Enhancement (MSE). The MSE upgrade includes a new fin design and a more powerful rocket engine. In the long term, it is expected that existing Patriot batteries will be gradually upgraded with MEADS technology. Because of economic conditions, the U.S. chose to upgrade its Patriot missiles instead of buying the MEADS system.